To release and transfer the coffee bean’s flavor to your finished cup of coffee. Burr Coffee Grinders give you a nice, even grind. Burr Grinders are the holy grail of brewing coffee. “They are the number one thing people can do to ‘change their world’ when it comes to coffee is to fix their grind situation” according to David Latourell of Intelligentsia. 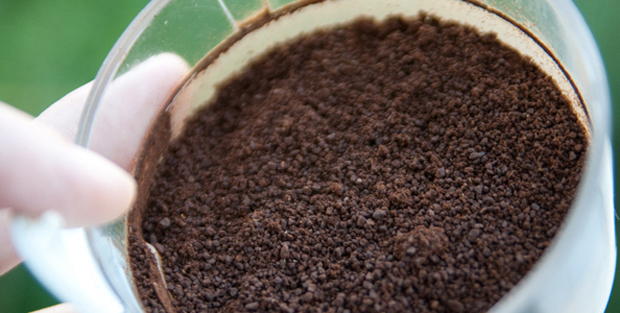 Burr Grinders work by “pulverizing” the coffee beans between two plates, or “burrs”. The result is coffee grinds of a uniform size, no heat generation and a deliciously flavorful finished cup of coffee. Click here to see our picks for the Best Burr Coffee Grinders. Conical vs. Flat Burr Grinders: Which is Better? Flat burr grinders have two flat plates, or ‘burrs’ that press against each other and pulverize the coffee beans into a uniform grind. There’s another type of burr grinder (and it’s usually more expensive), called a conical burr grinder, where there’s one flat burr and one cone-shaped burr. So which one is better. about $230. The Virtuoso is on the high end of consumer coffee grinders, and indeed you’ll likely find the Virtuoso in a lot of smaller coffee shops around your city. If you have a coffee grinder at home, chances are you have a blade grinder. They use fast-moving blades to chop up the coffee beans and create coffee grounds. The amount of time you grind them for determines how coarse (for French Press) or how fine (for Espresso machines) you want the coffee. Unfortunately, blade grinders suffer from two fatal flaws: uneven coffee grounds and heat. The violent chopping of the blades creates an uneven mix of large and tiny coffee particles. The result, in your finished cup of coffee, is uneven flavor. Some particles are too small to contribute any flavor, and some are too big for the oils to be released. the blades generate heat from friction, which starts breaking down the coffee particles before you start brewing. grind the coffee as late as possible, ideally right before you pour the water (or press ‘brew’ on your machine. This can minimize the damage. Also, you should store it where heat won’t be a problem. How Long Do You Grind the Coffee For? The convenience of pre-ground coffee can’t be denied. But there’s a steep drop-off when it comes to flavor. The natural oils located inside a coffee bean are fragile and begin to degrade the second they are exposed to air. That glorious aroma you smell after grinding coffee? That’s flavor escaping. When you grind coffee the delicate flavor-creating particles start to break down right away. These particles can degrade completely in as little as 20 minutes. They are broken down by the air, heat, and any liquids. Even though the Folgers can is sealed to keep out the air, the damage began second that coffee was ground up. Changing your grinder is the most expensive part of the coffee brewing process, but it’s also the best way to send your coffee to another level. If you’re serious about grinding, then check out this guide on how to brew a great french press, to get the most out of your quality ground beans.